Sometimes the main isn’t the hard thing to come up with. The sides. That’s the thing. All these great recipes out there that say cook this and serve. Serve with what? Fried gnocchi often fits the bill nicely. Fried gnocchi is a fun and simple side that adds a bit of flash to dishes with creamy sauces. And they’re good plate props. You can pile them up or scatter them around. Mix them in or float them on top. The plate is your canvas after all. It’s not really much of a recipe but here goes. 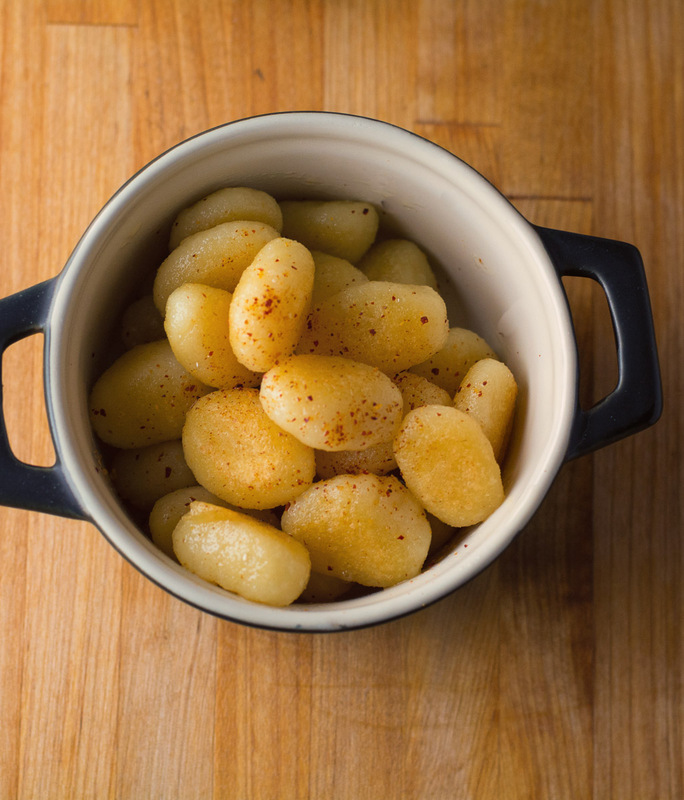 Bring a pot of well salted water to boil and cook the gnocchi according to the directions – likely around 2 minutes or until they float. Remove from water and toss gently with enough butter to ensure they don’t stick to one another. At this point you can set them aside while you deal with other things.